Amber Sawyer holds two framed photos with herself when she was 8, left, her sister Angela, 4, center and her oldest sister Donna, 21, right on March 16, 2018 in Pascagoula, Miss. The photo was taken several months before her sister Donna committed suicide in 1988. “Amber Sawyer was just 8 years old when it happened. 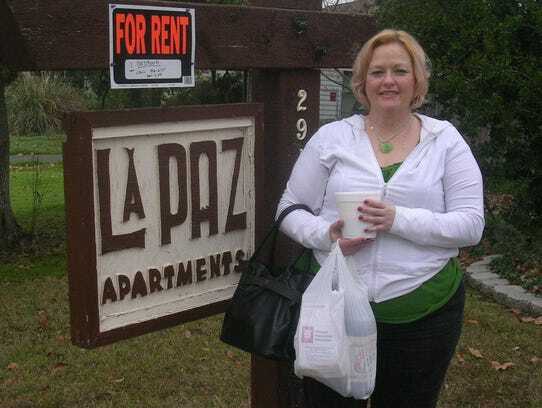 She went to investigate and found her 21-year-old sister, Donna, dead on her bedroom floor. She had shot herself in the heart with their father’s hunting rifle weeks after being excommunicated by their church for getting engaged to a non-Jehovah’s Witness. For Sawyer — who sat crouched next to her sister’s body for hours that day, waiting for her mother to come home from her door-to-door missionary work — it was the beginning of a long, painful journey that would one day tear her family apart. Sawyer and many others like her are now denouncing the church’s shunning practices in the wake of a recent murder-suicide in Keego Harbor that killed a family of four ex-Jehovah’s Witnesses who were ostracized after leaving the faith. The deaths sparked outrage among scores of ex-JWs nationwide who took to Facebook, online forums, blogs and YouTube, arguing the tragedy highlights a pervasive yet rarely-publicized problem within the church: Shunning is pushing the most vulnerable people over the edge, they say, and tearing families apart. “University and college campuses are notorious for bad behavior​ — drug and alcohol abuse, immorality, cheating, hazing, and the list goes on,” a 2005 article in the Watchtower, the church’s official publication, stated. 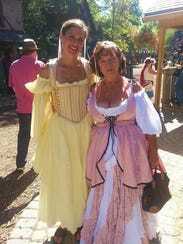 Lauren Stuart, (left) of Keego Harbor, and longtime family friend Joyce Taylor of White Lake, attend the Renaissance Festival in Holly in 2013. On Feb. 15, 2018, Stuart, 45, shot and killed her husband, two grown children and herself inside her Keego Harbor home. She was a former Jehovah’s Witness follower who had been shunned after leaving the faith. “‘You know your sister was being bad, right?’“ Sawyer recalled her mother telling her after her sister’s suicide. “ ‘And what she did was stupid, right?’ … To take your own life is very wrong,’ ” the mother continued. 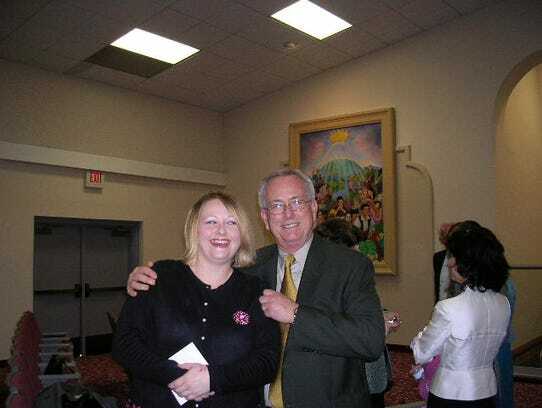 Dave Gracey and his daughter, Laura, smile for a photo at her baptism in December of 2006 at the Jehovah’s Witness Convention Hall in Yuba City, Calif. Four years later, Laura, 37, who had been excommunicated by the church twice and reinstated twice, took her life following a fallout with the church elders. Laura Gracey, 37, of West Sacramento, Calif., committed suicide in January of 2010 following a fallout with Jehovah’s Witness elders. She was trying to get back into the organization when she overdosed on pills. This photo was taken five days before she died. 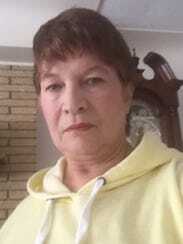 Joyce Taylor, 58, of White Lake, is a former Jehovah’s Witness who left the faith years ago due to doctrinal issues. She believes her friend, Lauren Stuart, 45, who died in a murder suicide, killed her family in part because she had been shunned by her church after leaving the faith and had no one to turn to when she struggled with life. “This belief in Armageddon — which is central to the Jehovah’s Witness worldview — is something that still retains its power — even for people who have left,” Schmalz said, who teaches a course in modern religious movements, with discussions about Jehovah’s Witnesses and Scientology.